Discussion in 'RPG Maker MV' started by Figra, Apr 27, 2018. Hello all, this is my first thread, but the problem I have is really pesky. 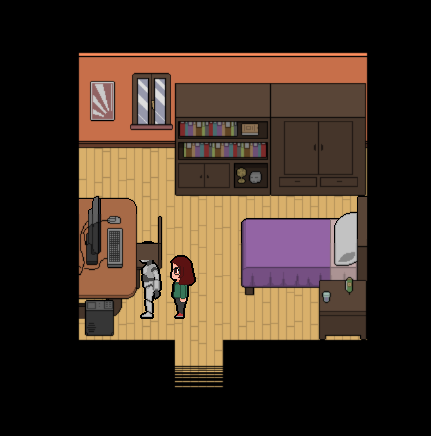 So, in my game each tile is 48x48 (as it is by default in MV) but my character sprite is twice that size in length, meaning every character occupies 2 tiles in length. The plugins I'm using for movement and parallax mapping are QuasiMovement for the pixel motion and collision maps, and BindPictureToMap for the parallax elements that are ABOVE the player, so the things the player CAN go under. The problem itself comes up when I try to walk in front of some sprites. For example, if i try to walk behind a chair, the part that the player WON'T be walking on will be above the character sprite, and that works just fine. But if i try to go in front of the chair, the part that goes above the player will also go above him when in front of the object, which makes no sense and cuts the sprites horribly. 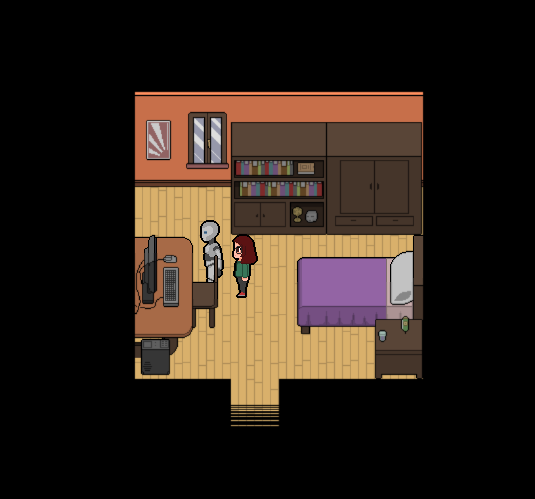 So what I'm asking is: is there any way to make that piece of chair sprite (as well as any sprite with the same purpose) go below the character sprite when it's positioned in front of it? Maybe even with the aid of a plugin. I know it's a silly issue to deal with, but I'm seeing myself stuck right here. In the Neonblack folder for DLC, or rather, the original plugins that came with RMMV, there's the Large Sprite fix, which does indeed fix the issue, however, for me, it created some horrible lag. Maybe because it's very outdated. It might need to be updated with the current engine and fixes to be of any real use. There's also his Star Passability plugin which would also help with certain tiles in combination with Large Sprite fix. Ok, so you're saying that Neonblack's sprite fix plugin should do the trick but still, it is very outdated. How should I update it effectively? Should i apply the plugin in MV's plugin manager and then update the whole engine or is there another way of doing it that I'm missing? Maybe a plugin fix somewhere? Sorry for the dumb questions, but I'm actually pretty confused. Here @Eurritimia , take my like. You can point to a specific thread answer buy selecting the #number on bottom right. Thanks for telling me that, I just updated my earlier post with the correct link!